18 French Tech start-ups are heading to IFA in Berlin accompanied by Business France. HAYMARKET & SOHO, England - Aug. 16, 2018 - PRLog -- For the 2nd consecutive year, Business France (https://www.businessfrance.fr/en/home) will accompany 18 French Tech start-ups to IFA (https://b2b.ifa-berlin.com/) in Berlin. Selected by a jury of experts to exhibit on the French pavilion, their products are available for immediate sale. 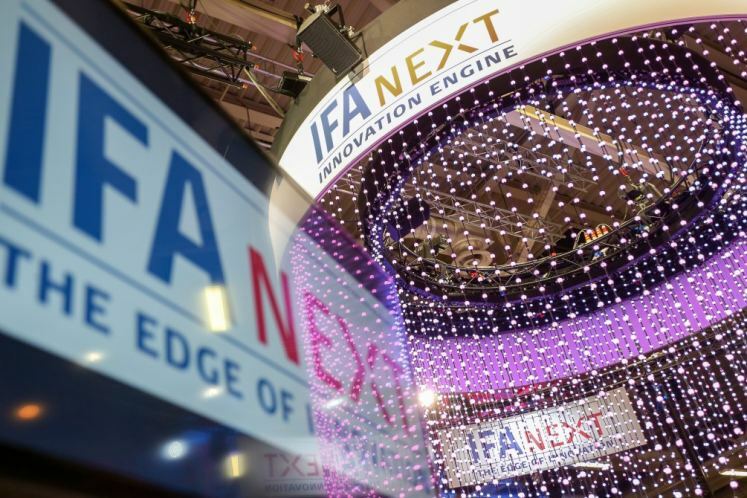 The French Pavilion will be based in IFA Next (https://b2b.ifa-berlin.com/IFA/IFANEXT/), the area devoted to startups and innovation, in hall 26, stands 360-381. The goal: to win contracts with distributors before the the Christmas shopping season. • Snips (http://www.snips.ai/) has launched its own platform offering manufacturers and consumers an independent interface to create voice assistants for connected devices. Having already raised over $20m, Snips is about to launch 2 new devices as part of its Snips AIR network of AI home assistants. • Ledger (https://www.ledger.fr/) is a leader in security and infrastructure solutions for cryptocurrencies and blockchain applications. The company develops a variety of products and services to safeguard cryptocurrency assets for individuals and companies, including the Ledger hardware wallets line already sold in 165 countries. • Divacore (http://www.divacore.com/en/), a wireless audio specialist, will launch its new generation of 100% wireless headphones, Nomad and Nomad+, at IFA. Combining great design and a state-of-the-art musical experience, they are available in a '+' version for travellers and feature a new 'outdoor sports' mode. • R-PUR (https://www.indiegogo.com/projects/r-pur-new-generation-anti-pollution-mask-clothing#/) has developed R-PUR NANO, an anti-pollution mask, made in France and specially designed for two-wheel users. It is equipped with a patented nano-filtration® technology that allows users to breathe clean air by filtering toxic particles, fine particles, pollen, etc. in the air. The R-PUR NANO mask can be connected to a mobile app that tells the users when to replace their filter according to their personal use and the real-time air pollution rate. A number of the exhibitors hail from the Hauts-de-France region, which will have its own stand (hall 26, stand 362). The northern French region is home to startup incubator and accelerator, Euratechnologies (https://en.euratechnologies.com/), currently supporting over 300 companies and 300 projects. France provides a vibrant digital research environment including a host of innovation clusters: Systematic (Paris), CITC (Lille), IoT Valley (Toulouse) and SCS (Nice). Companies established in France that develop connected devices can benefit from a research tax credit. In 2017, 5.2 million connected devices were sold in France, generating turnover of more than €1 billion, a third more than in 2016, according to GfK. France's connected objects market is expected to grow by 60% a year until 2020. 'Start-ups go to CES to create buzz, exist and validate their products, while they go to IFA to sell and sign contracts'. Eric Morand, Head of Business France's Tech department and jury member believes the 2 events are complementary. A catalogue with further information on all the French exhibitors is available upon request.